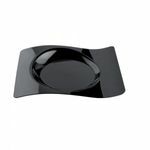 At 13cm in diameter, this glossy black tray is extremely versatile. It’s the ideal size for presenting a pudding or a side dish – but its usefulness doesn’t stop there. Filled with a selection of tiny petit fours, it would look completely at home. 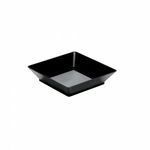 You might even want to use it as a useful addition to your buffet tableware selection? Laden with sticky sausages or devils on horseback for example, it would be sure to attract the attention of peckish guests. 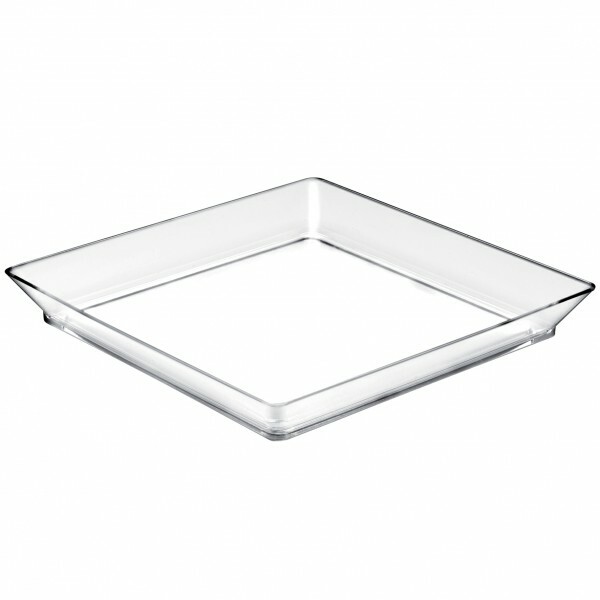 Transparent Plastic Medium Plate Tray (Pack of 12) has not been evaluated yet.